Boutique du Monde s.a.l was first established under the name; Boutique Sleep Comfort s.a.l in 1982. Today Boutique du Monde covers the majority, if not all of the regions around Lebanon, giving us the ability to satisfy all the different tastes of our wide array of clients. Boutique du Monde gathers a multi-cultural assemblage of items joining East and West for the joy of the unique interiors and the charm of turning everyday life into a one-of-a-kind experience. “IT TAKES A BIT OF EVERYTHING TO MAKE A WORLD” AND WHAT A FINE WORLD IT IS! The company’s strategy is based on the idea of selecting and presenting a vast array of items neatly and tastefully chosen from all corners of the globe, at exceptionally competitive prices. Gifts, tableware, indoor and outdoor furniture, lights, artificial plants and flowers, as well as panoply of European, African and Far Eastern items are displayed for ones shopping delight. Whether you’re decorating your home, or offering a special gift, Boutique du Monde is specially tailored to suit all of your lifestyle needs. 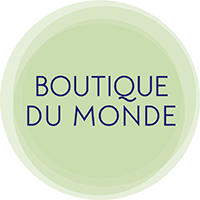 Boutique du Monde has several points of sale in addition to Karantina’s main branch that you can find in the section “store locator”.